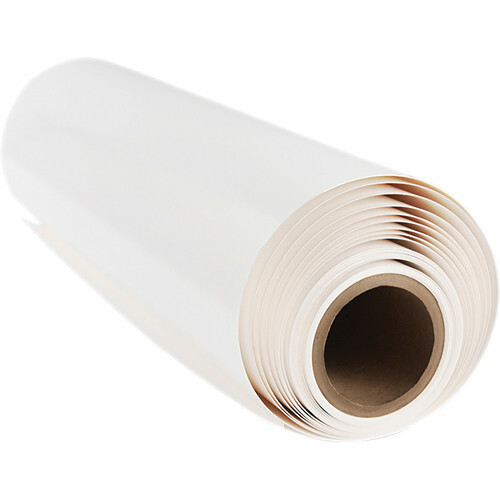 This 24" x 50' roll of 600MT Decor Art Paper from Breathing Color is a bright white, cold pressed matte paper with a 50/50 blend of cotton and cellulose. This 300 gsm paper is water and scuff resistant as well as acid & lignin free. Also, it features a thickness of 16.5 mil, a brightness of 95%, a whiteness of 96.5%, and an opacity of 97%. It comes on a 2" core. Box Dimensions (LxWxH) 26.0 x 6.4 x 6.4"